The 2010–11 UEFA Champions League was the 56th season of Europe's premier club football tournament organised by UEFA, and the 19th under the current UEFA Champions League format. The final was held at Wembley Stadium in London on 28 May 2011, where Barcelona defeated Manchester United 3–1. Internazionale were the defending champions, but were eliminated by Schalke 04 in the quarter-finals. As winners, Barcelona earned berths in the 2011 UEFA Super Cup and the 2011 FIFA Club World Cup. Location of teams of the 2010–11 UEFA Champions League group stage. 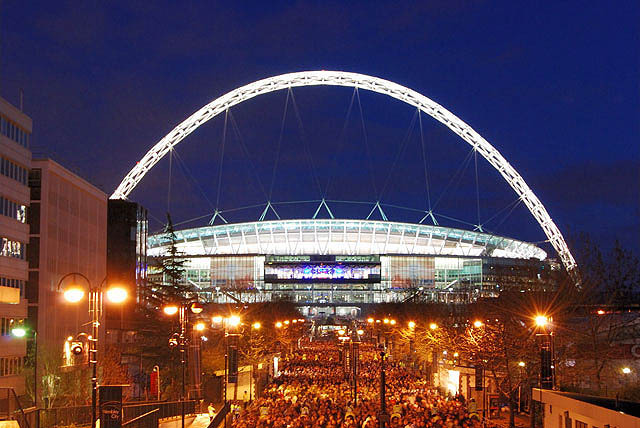 Wembley Stadium, London hosted the final.